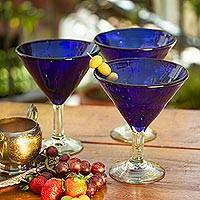 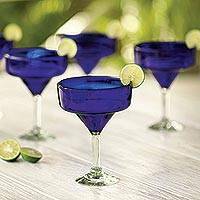 With deep cobalt blue rims and bases framing clear glass, the classic styling of these martini glasses makes them the perfect complement to your next cocktail party. 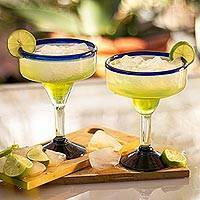 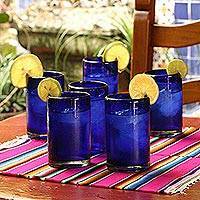 Crafted from recycled glass, this set of six glasses comes from the NOVICA Handblown Collection. 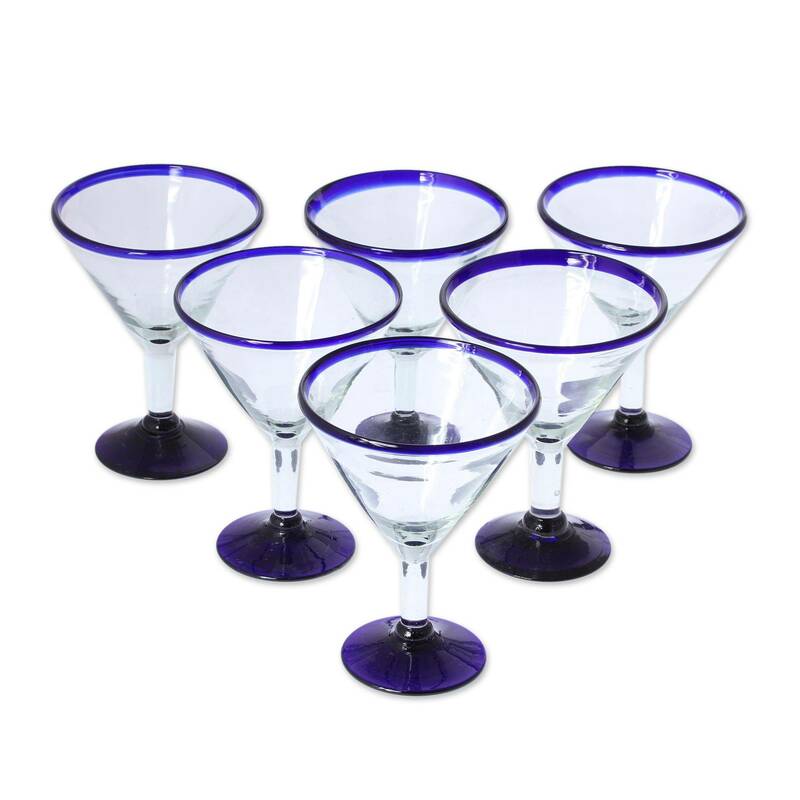 Each (6): 17 cm H x 13 cm Diam. Each (6): 6.75" H x 5" Diam.